Everyone agrees that lives are on the line: The less time it takes from when "911" is dialed to when emergency services are dispatched, the more likely it is that someone needing help can be saved. The big debate, however, was whether combining the fire dispatchers, police dispatchers and the county's 911 dispatchers under one roof would improve things — or make things worse. So even as local governments made major moves toward an integrated 911 dispatch system, the Spokane City Council didn't buy the argument. For months, members said, they'd been asking questions about the efficacy, necessity and logistics of the proposed change. Some answers from city officials, the council argued, were unsatisfying. Other questions weren't answered at all. "This has not been a transparent process. Not to the public and certainly not to the council," Councilwoman Karen Stratton said. "It has been irresponsible in the ways that we have been kept in the dark." On Monday night, the council unanimously passed an ordinance that drew a line in the sand: Spokane firefighters and police officers would only be allowed to work with dispatchers who were also employees of the city of Spokane. 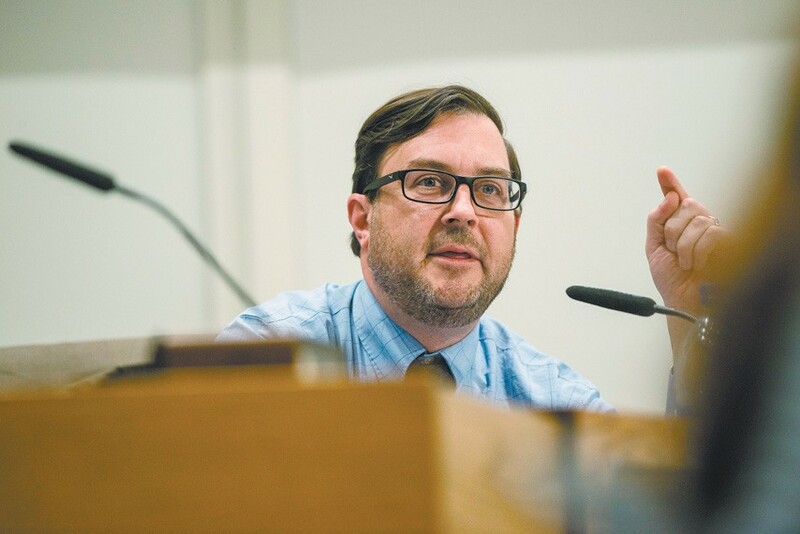 "This project is alarmingly close to the point of no return," City Council President Ben Stuckart said. "We've seen no financial model. We've seen no staffing model. And our city employees are rightfully concerned." If it doesn't kill the integration proposal, it slows it down, mandating that the city of Spokane — whose residents are responsible for 60 percent of the 911 calls in the county — would largely control any future process. A slew of firefighters and fire dispatchers testified at the meeting. Fire dispatcher Kelly Masjoan, for example, argued that the dispatchers had been asked about things like the logo design and name for the integrated entity, but rarely about more important issues. Still, Masjoan says that in recent months there have already been important improvements in the current dispatch system — like integrating the fire and police computer systems — that have slashed anywhere from 10 to 30 seconds off of dispatch times. The original print version of this article was headlined "911 Hang-ups"